Welcome to the "Full Size Bronco Invasion" Planning thread. I am starting this thread for Information Storage Only, about the Upcoming Moab Trip in 2019 that @deathmobile2 suggested. So, His Idea seems to be really "Taking Off" but, Info is getting "Buried" in all of the Replies. Ok, So far a Couple of Items have been brought up. 1. Rig and Driver Capabilities. This Event is Open to ALL Fullsize Broncos from Bone Stock to Full On Hi Performance Monsters. The Trail System in Moab has trails for "Everyones" Individual Needs & Desires from Dirt Roads to Serious Rocks. Have a "Show & Shiner"? Bring it. (Although you Will have to wash off you own Dust). There are Trails Designated for the "Sight See'r" In All Of US. Mid Level Trail Rig? Bring it. There are trails All Over the place where you can "Test" your Rig & Driving Skills. You Know What You Want and Where to Get it just because "it's There". Go Fast & Sand catch your Fancy? Bring it. They have a Sandy area. "Full On" Fire Breathing Monster? Bring it. There are some "Serious" Trails for you too. Basically if You have a "Fullsize Bronco? Bring it, There is something for Everyone. 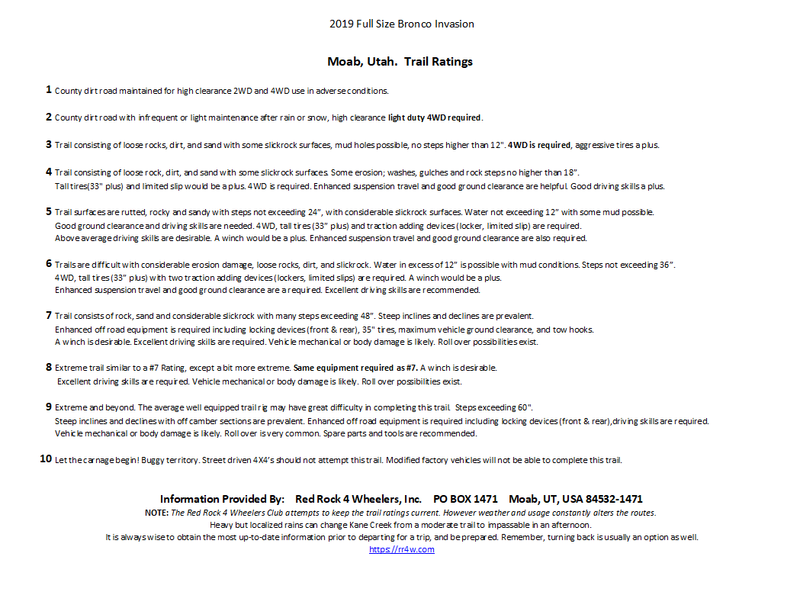 We are currently Asking any "Fullsizers" with Multiple Moab Experiences under their belt to help out with "Trail Boss" duties. @raleigh says that He usually "Leads" a couple of trails during the "Bronco Safari", so there's 1 Leader. @Renorover just joined in and will be willing to "Lead" for a day or two also. to Coincide with the "Bronco Safari"
5. Rig Breakage / Parts & Repairs. We all have this in the "Back of our Minds",, Always. there is a post in here for this too. 6a. Camping, Park & Trail Fee's will be in that Post. "Showcasing" of the Full Size Bronco and this Moab Adventure in PRINT. Now doesn't this just sound AWESOME???? BikerPepe`, AbandonedBronco, BigBlue 94 and 2 others like this. Last edited by White Dragon; 10-10-2018 at 01:00 PM. Reason: Add Trail Leader info. 1. Here's a "Link" provided by @itwasFREE!!!! ,It Really puts a lot of Perspective to the "Trail Hunt"
2. Here is a "Package Deal" given by @Bogie that can be used with GPS Systems. (Very Cool). I have been "Snooping" the Trails Offroad Maps. It's Looking Like the "Heavy Hitters" will need to use some of the Easier Trails (roads) to get to their "Fun Spots". This sounds cool to me as it affords the opportunity for "Group" Adventures & WE can watch them "Go at It" too. ??? to "See" how Rigs & Drivers do before "Advancing" to more Difficult Trails. It would be an All Day run (7 h 15M + stop times) with Arches & Dinosaur Tracks too. Trails are, From 191 (Just North of Arches Ntl. Park Main Entrance) Right turn onto "Willow Springs rd." - Left onto "Eye of the Whale" - Left on "Tower Arch" then Backtrack to - Left on Salt Valley rd. - Left onto "Klondike Bluffs Escape" via "Baby Steps - then Out on "Klondike Bluffs" back to Hwy 191. If your using the "Trails Off road" app you can see the "Whole Shebangy" LoL. This one is a "Through" Trail also, Lost of "Neat Stuff" to stop and check out along the way with some good but not too tough obstacles to boot. For a Taste of "Overland & Roll Camping", 190 Miles - could be a easy 2 Day trip or we could Shorten it for a good All Day Adventure. Everybody is saying, "You Gotta" do Fins-N-Things. This Looks like a Good Trail too. 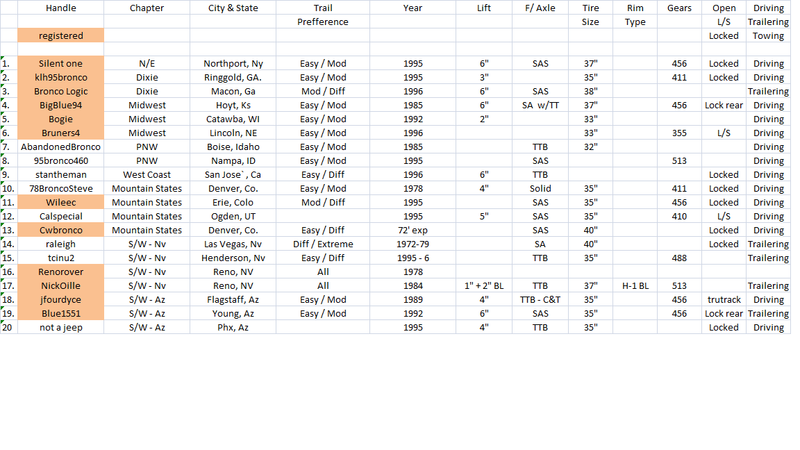 ***EDIT -Here is where I will Add Trail Recommendations from Members. Hells Revenge, Fins-N-Things, Seven Mile Rim, Golden Spike, Poison Spider. The ones listed as easy are mainly dirt roads (2s and 3s). I'd recommend Fins N Things (very fun trial with no body damage). Wipe Out Hill - without doing the Hill but there's a good place to park and watch people on the Hill. Minimum 35's. Top of the World is a great trail and not that hard - the view at the end is worth it! a couple of water falls close to the start are tough and could cause some damage/breakage - then you have to go back down them after the loop. As listed, I'd stay away from the 7's and up. Golden Spike is a very cool trail (with the famous Golden Crack) BUT you access it from the first half of Poison Spider and exit via Gold Bar Rim. It's a VERY LONG DAY to do all 3 trails (10-12 hours total) and there is a deeply dug-out waterfall on Gold Bar Rim where you'll likely need to winch up. There is a winch point. A cool trail not listed but very interesting is Gemini Bridges. It's a short hike to a a double arch. Just my thoughts for you guys. You'll have a blast - wish I could join you! BigBlue 94, Quader1 and Bruners4 like this. 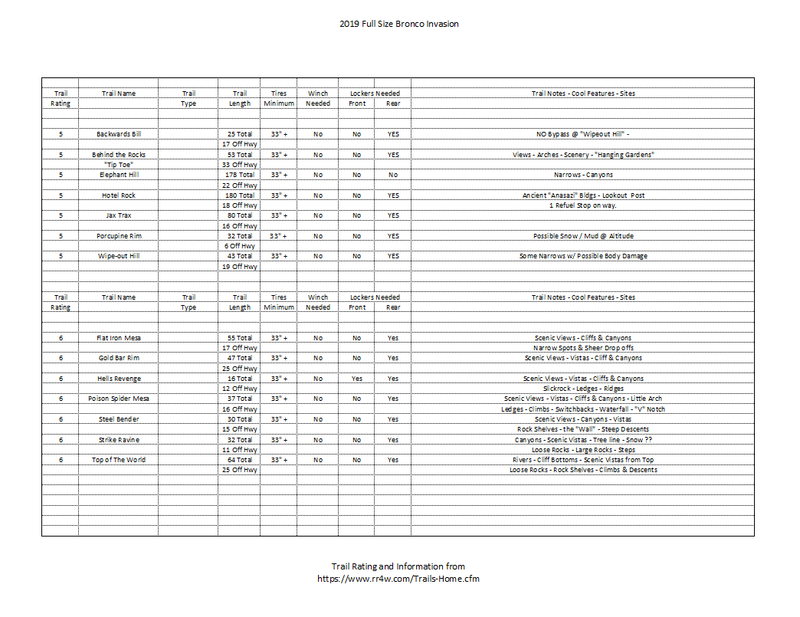 Lodging, RV's and Camping Information. Wheeew, there are A LOT of Options here. Remember to keep your replies in the Other Thread OK? Sharing a "Link"? That would be Great, And I will get them into Here. Auto Parts / Mechanics & Junk Yards. We ALL think Similarly, "What if",,, So Here's the "Skinny". 11858 S Hwy 191. Moab, Utah. 35 Grand Ave. Moab, Utah. 277 W Rio Grande Dr. Moab, Utah. NO "BoneYards" in Moab any more.... He ended up going to Grand Junction, CO for parts. itwasFREE!!! !, stan the man and Quader1 like this. Hospitals / Pharmacy's / Veterinarians. Well, this is just the way we roll. 450 Williams wy. Moab, Utah. 7 days. 6a - Midnight. itwasFREE!!! !, Quader1 and Lil' Red like this. From the State of Utah. BikerPepe`, BigBlue 94, itwasFREE!!!! and 1 others like this. We have had 66 rigs Interested at varying points. This post is for the Travel & Meet up - "Where & Whens"
But we still need to figure out the Convoys common meet up spots. 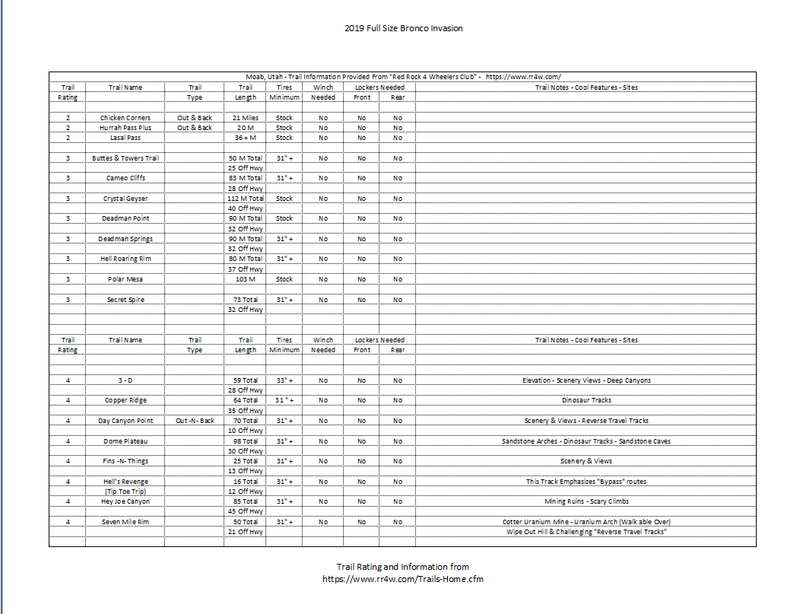 These are some of the Places where "FullSize Bronco Invaders" are staying, I will ADD IN the Other Areas as You Share. 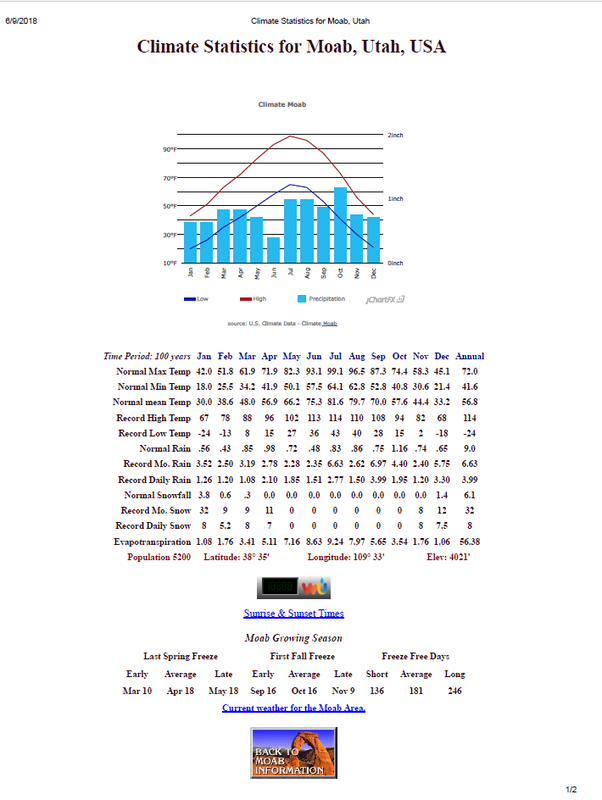 "Archview Rv Resort & Campgrounds" Tue 30 April thru ?. Starts Trek on Sat 27 & 28 April Arrives. "Comfort Inn Suites" - 29 April thru 3 May. Return Trek May 4th & 5th. Starts Trek on - ?? BB94 Volunteered his Property for a "Repair / Rally / Overnight" spot if Needed. Starts Trek on - ? Starts Trek on - 27 Apr. AbandonedBronco, BigBlue 94, stan the man and 2 others like this. As of Today our Participant Count is as follows. Not Many days left to prepare. itwasFREE!!!! and Lil' Red like this. the Day / Night & Locations we will Meetup for Food, Drinks and Safari Events. Pasta Jay's - Zak's Pizza - The Blue Pig & "Milts" for Burgers & Shakes. @itwasFREE!!!! recommends the "Moab Brewery" for food & craft beer. this is an 11 Hr trip, Not for the faint of heart. Most Runs done Independently from the "Bronco Safari" will have a "Trail Entrance / Use Fee" by the B.L.M. 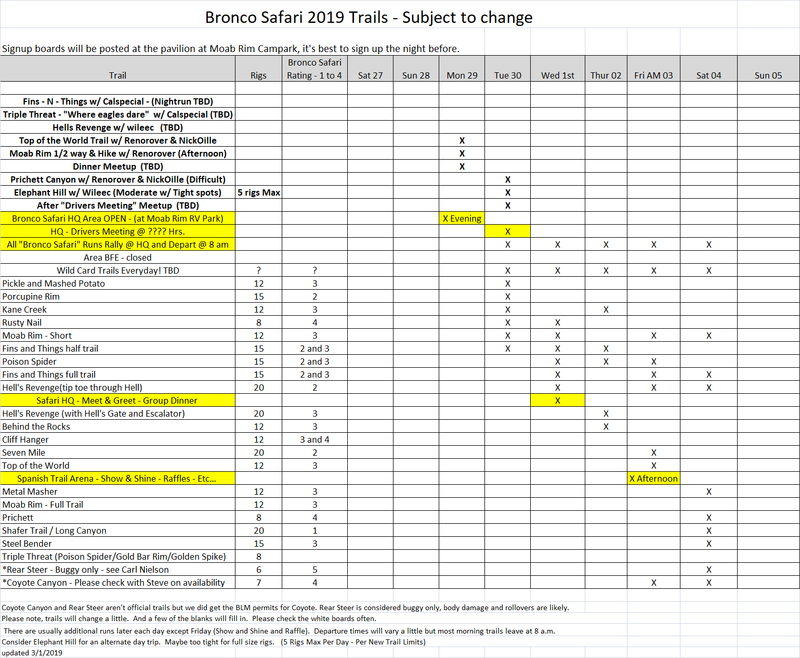 Here is a Copy of the "MODIFIED - Bronco Safari" trail runs to help us choose for which trails & when. 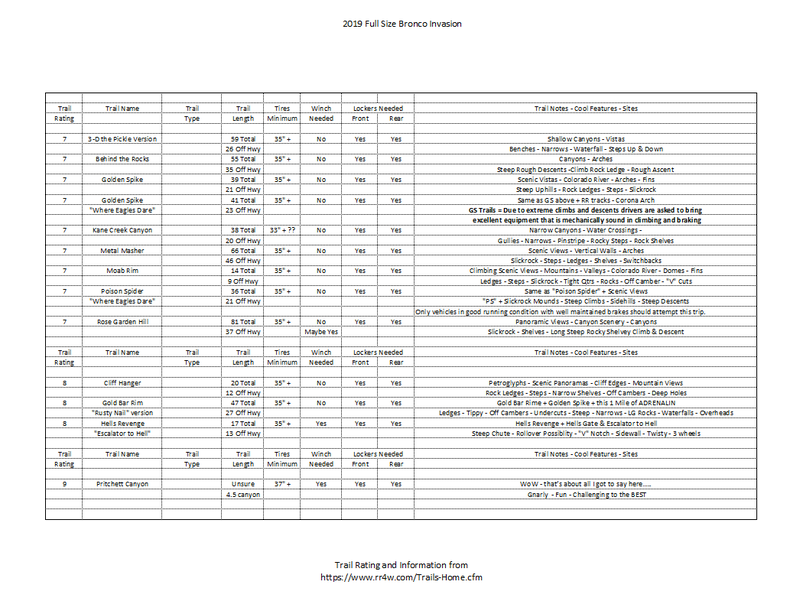 And, Here are the "Rig Specs" too. Aside from the "Normal" off road kits is there any "Special Items" someone should have as well? Are You Bringing any "Spare Parts" & Stuff to Have / Use / Sell to someone who Might Break? work on getting it "Over Here". Looks like @NickOille is coming "Loaded for Bear"
@wileec is bringing stuff too. I dont have many spare parts, but I'll have a pair of 8.8 axle shafts, a d50 stub, and then small things like solenoids, hoses, wires, etc. I'll have an extra np435 slave cylinder and throwout bearing too. 2.5" flowmaster 40 series muffler with 2.25" adapters welded on. Well used, but not rusted. 1974 240/300 inline six intake and exhaust manifold and low profile single barrel air cleaner. Came from a van, and the hot air valve works. Door scratch protectors for the key cylinders x3. Not Ford brand, and need a paint job. Again, anything you might want off an 88 f250 4x4 besides the axles and running gear. I would recommend a "PM" session.